I was born in 1948. I say that because it means that I grew up before and during the Civil Rights Movement and can actually remember seeing "White Only" signs on restrooms and over drinking fountains on a car trip to Florida. I can remember a time when it was unthinkable that we could ever have a person of color or, "God forbid," a woman be the President of the United States. As a girl I was given the unspoken message that I could be a nurse, teacher, secretary, mother, housewife; there were limits. 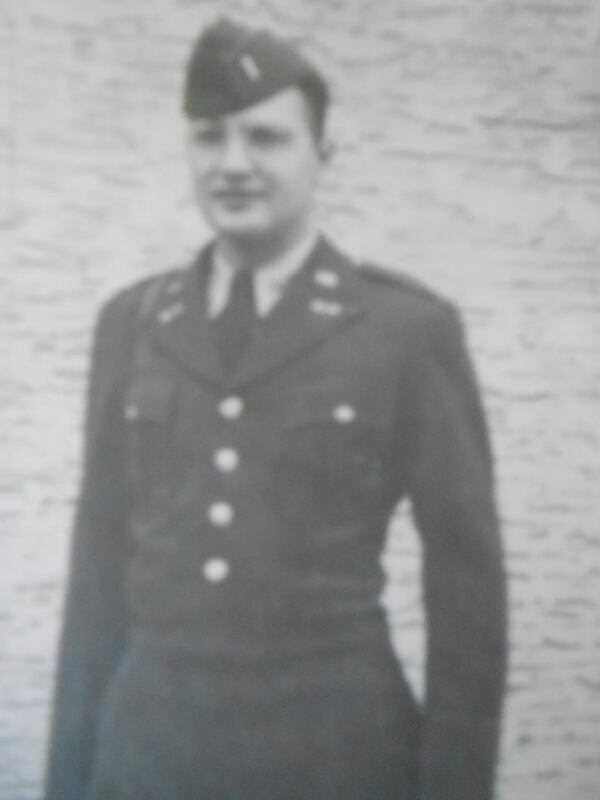 My dad was a veteran of WWII, a member of the "Greatest Generation." A generation of young people that was willing to go far from their home in order to liberate others whose lives and liberties were threatened by evil. Although in his capacity as a Lieutenant in the Chemical Corps charged with cleaning up sites where chemicals were used to commit atrocities against humanity, he never discussed those experiences. He only told tales of kind Europeans that he had met along the way. Daddy was the son of a Greek immigrant and could remember being called names by playmates when he was young, purely because of his dad's heavy accent. In spite of this and his experiences in Europe, daddy always had a positive attitude and great love for our country. Dad had high expectations for each of his kids. We were expected to to our best in school and to go to college or some form of higher education. We were expected to grow into responsible adult citizens of this country who did the "right thing" in all situations just because we were raised that way. He taught all four of his kids respect. We were taught that you never call people names or make fun of them for who or what they are. My brothers were taught to respect women: "don't talk back to your mother," "don't let anyone ever hurt your sisters or any other women," "don't you hurt women," "don't call women nasty names," "don't call anyone nasty names." Mom was a housewife and used her natural creativity to make a comfortable, tasteful, and safe environment for her family. She was doing the "Martha Stewart" thing long before there was Pinterest. I remember, as a young child, accompanying my mom on the ride to the local fire station on election day. I went right into that formidable looking voting booth with her as she pulled the curtain closed on us, exposing only my chubby little legs beside hers. I watched her pull the mysterious levers, selecting her choices thoughtfully as I stood restlessly beside her. I don't think she ever missed an election day. These are the parents who shaped my siblings and me. They taught us that our words matter; our actions matter; and our vote matters. So, tomorrow morning I will rise early as usual. Instead of that second cup of coffee in front of the morning news, I will get dressed and drive into town so that I can be one of the first to vote in my precinct. I want to be a part of making history again and breaking the final barrier for women. I am remembering the lessons that my parents taught me. This all makes it an easy choice for me.